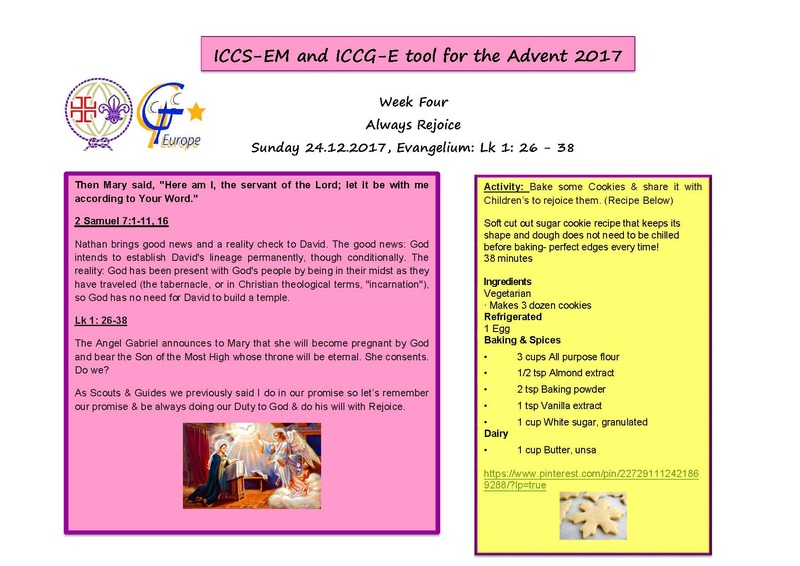 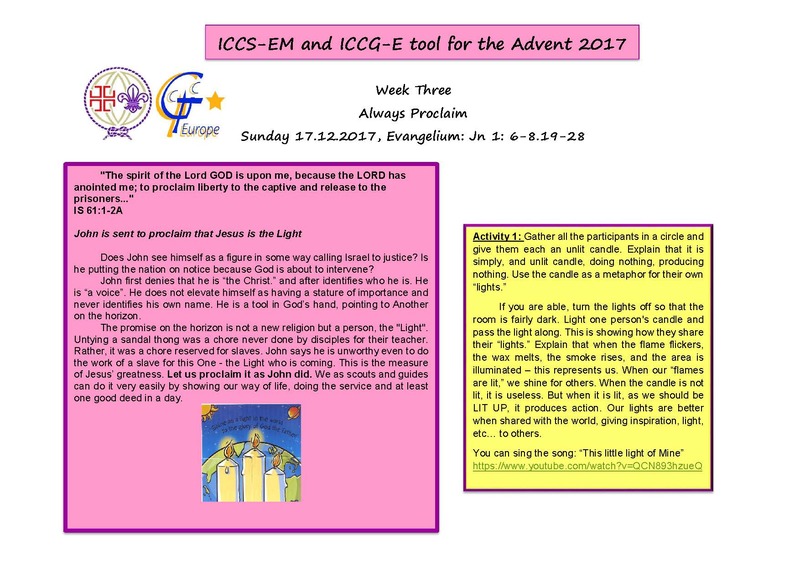 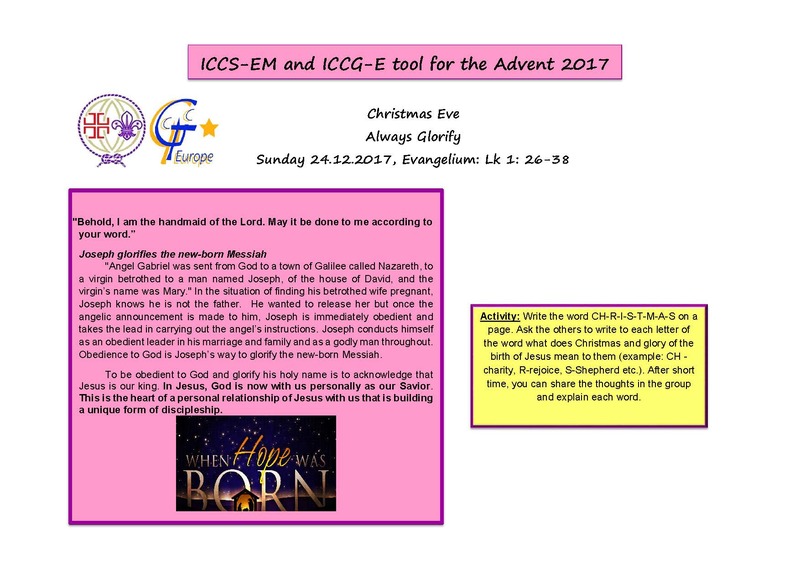 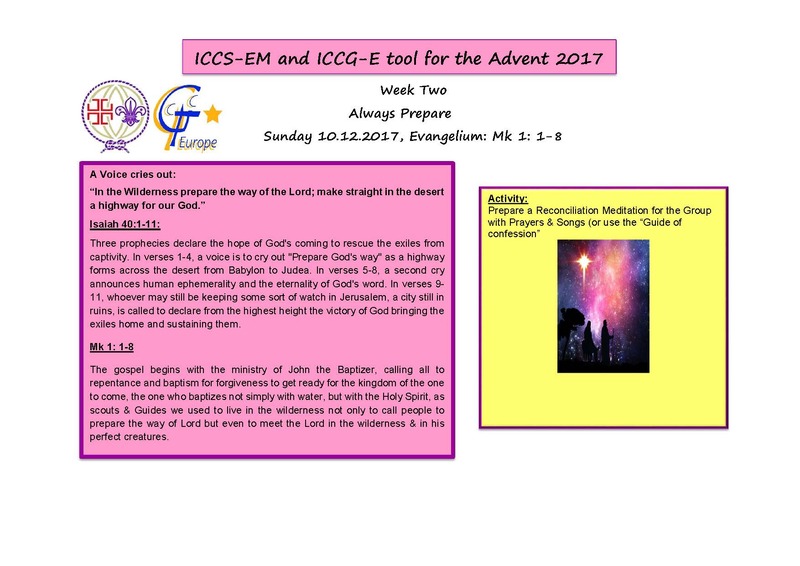 We are pleased to send you attached our common ICCS-EM and ICCG-E tool for the Advent 2017. 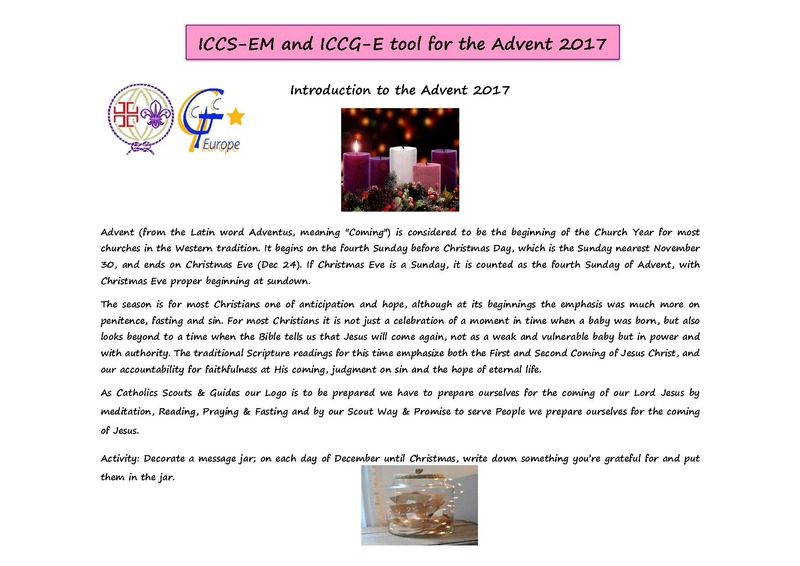 Advent is a period where we should better watch over ourselves and others; to be prepared to welcome the New Born Christ and to proclaim that Jesus is the Light, to Rejoice and Glorify during Christmas time. 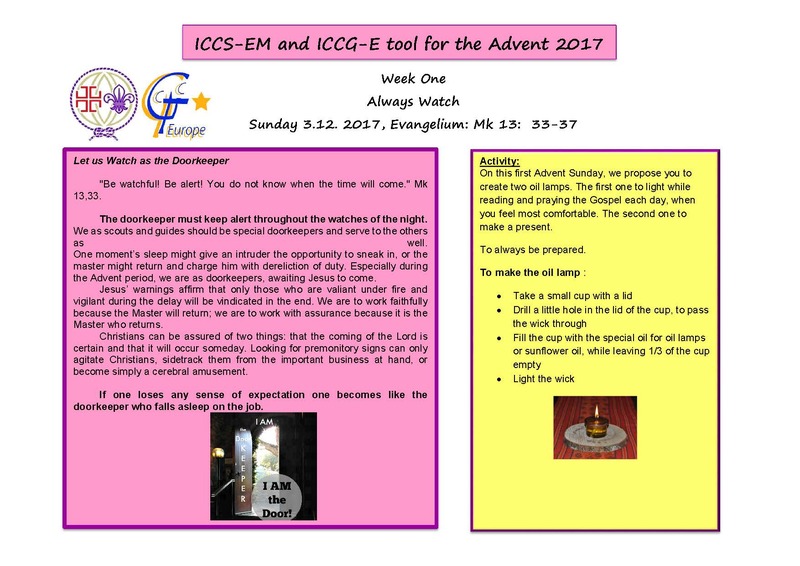 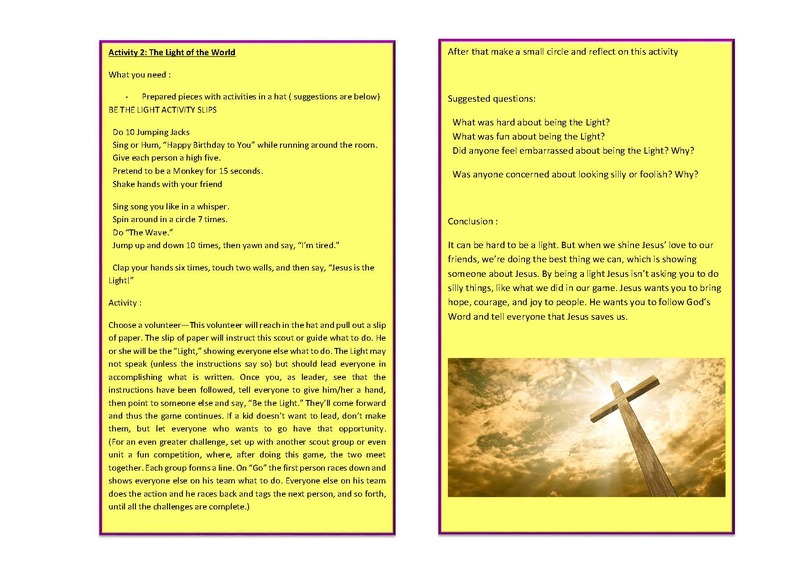 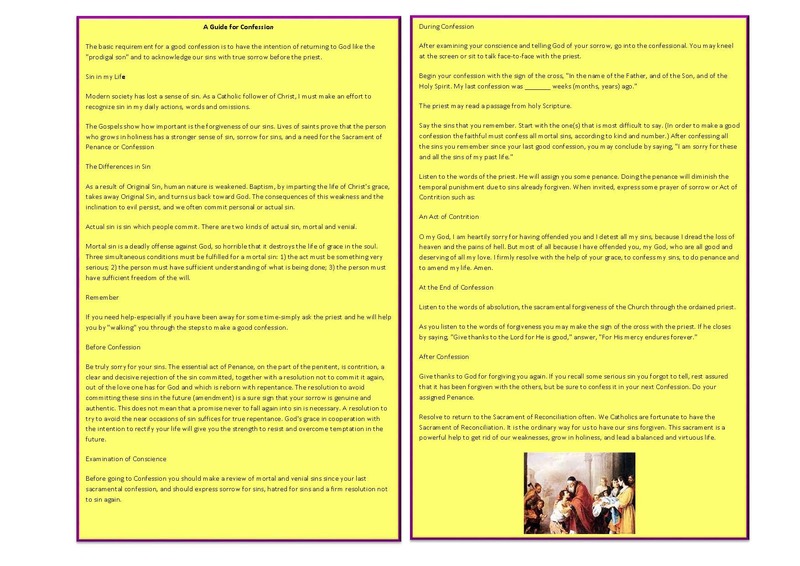 We hope that this tool with its themes and proposed activities will help you in your personal meditation and would be a practical tool for your scouts and guides in the association.